The universal gift registry leader believes its new color palette and streamlined navigation will appeal to existing users as well as those shopping around for a convenient, easy-to-use, and technically advanced gift registry service. 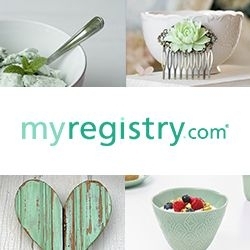 Fort Lee, NJ, February 08, 2018 --(PR.com)-- MyRegistry.com got a fresh new look on Wednesday, positioning the world’s leading universal gift registry platform for its next phase of growth. The redesigned website exudes a contemporary feel with a bright, eye-catching color palette. Its updated logo, streamlined menus, simplified navigation, and parallax scrolling effects create an immersive experience that guides MyRegistry.com users through its many features and benefits. As the go-to for global online gift registry services, MyRegistry.com gives its members the flexibility to add items from any store in the world - whether it be a national chain superstore or a mom and pop shop. Items can also be added with the company’s app, which turns smartphones into barcode scanners, or by snapping and uploading an image. MyRegistry.com’s highly popular sync feature also got a makeover. It’s now easier than ever to import existing store registries onto a MyRegistry.com gift list. The company currently has over 20 sync partners, including Target, Amazon, Macy’s, Pottery Barn, West Elm, Williams Sonoma, and all other major registry retailers. In addition to MyRegistry’s thriving consumer business, it is also the largest universal gift registry software provider to U.S. and Canadian retailers. Businesses that use the company’s customizable, scalable, end-to-end gift registry solution are able to tap the massive (and growing) gift industry. The new MyRegistry.com offers a more engaging experience for its B2B clients as well. Leading up to the website refresh, the gift registry company ran a teaser campaign via email and all of its social media accounts. The campaign had a far-reaching audience who participated by providing their love and parenting stories along with #MyLoveMyRegistry. The company will feature many of these stories on its blog in the coming weeks.